In our earlier article, we have predicted how ICS was going to be a better choice when compared to iOS5, and boy, we were so right. Google and Samsung, at their mega event in Hong Kong, recently unveiled the highly coveted Samsung Galaxy Nexus. Successor to the popular Nexus S, this phone comes packed with a huge amount of new features that definitely give the iPhone 4S a good run for its money. 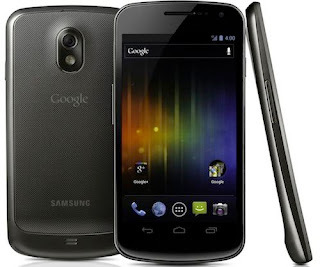 Galaxy Nexus is also the first device that will run Google's new mobile operating system, that is Android 4.0 a.k.a Ice Cream Sandwich (ICS). Featuring a completely redesigned interface, this latest offering from the big G brings a smile across all Androiders' faces as the open source operating system will theoretically run across all 2.3 devices. Here's a look at what's new in this Android super smartphone and how it can be a game changer in an industry that is at its very peak right now. Now, let's take a look at the features in a little more detail. Galaxy Nexus sports a sleek contour design. So, not only does it look beautiful, it's also great to touch. The curved design has been a part of the Nexus family and it has been improved even further this time. Furthermore, the back of the phone has an ergonomic grip making the phone easy to hold. Coming to the contentious issue of screen size, recently, there has been a lot of criticism about bigger displays, especially since many Apple fanboys have pointed out that iPhones have smaller screen size in order to let the thumb move easily over the whole screen. An almost-viral post showed Galaxy S2 and iPhone side by side tacitly making the point that it's impossible to have bigger displays without compensating on usability. During the presentation, Google countered the point by showing how Galaxy Nexus has a thinner bezel, due to which it can afford to have a bigger screen. This also quashed all apprehensions users had about Samsung's design flaws showing up in Galaxy Nexus. So, when it comes to design, there's no doubt that the Galaxy Nexus overpowers the iPhone. Galaxy Nexus will feature a completely new font called Roboto that will make text more crisp and clear, further enhancing the reading experience. With a 4.65-inch Super AMOLED HD display, this phone offers one of the best displays around. Images, fonts, videos, and everything will look cooler on Galaxy Nexus. Though many expected an 8MP camera, the 5 MP didn't disappoint. It shoots 1080p videos that is a great upgrade from its predecessor, the Nexus S, which only managed to capture 480p. Also, the 1.3 MP front camera is a big bonus for those who video chat, or Hangout (G+) a lot. And don't forget, the rear camera comes with some great features like zero shutter lag and autofocus. 1. Completely New interface: Android 4.0 is nothing like its predecessor. It's faster, sleeker and much more intuitive. Support for various gestures has also been incorporated making the phone one of the easiest things to use. And yeah, even computer scientists will love it. 2. New Browser: The browser now lets you sync your bookmarks with Chrome and save articles for offline reading. Also, text will be much sharper this time thanks to the new Robot font. 3. Better App Management: Apps can be now be organized into folders by dragging them on top of each other. 4. Better Widgets: You'll love your homescreen even more as ICS will come with a bunch of Android widgets that display much more information than before. 5. Updated Core Apps: Core apps like Gmail and Google Calendar have vastly been improved to make them more easy to use. This will definitely please all the Gmail users around. 6. Face Recognition lock: Make your device more secure by putting in Face recognition lock so that you and only you – unless, of course, you have an identical twin – will be able to unlock it. 7. Screenshots: Android 4.0 now lets you take screenshots right from the phone. Just hold the power button and the volume down button together and your snap will be saved to the gallery instantly. 8. Android Beam: Leveraging the immense power of NFC, you'll now be able to share whatever you're doing with another Galaxy Nexus user by simply tapping your phone against theirs. So, bye bye Bump! 9. It's open source: Finally, the most important feature of all is that it's open source. 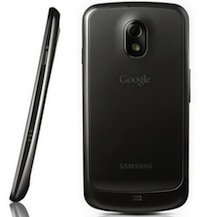 Google will release the source code once Galaxy Nexus hits the market. With Galaxy Nexus and ICS, Google has managed to crush every bit of Apple hype that was lingering after their 4S release. Furthermore, this is Android's biggest release so far, opening more chances for this great platform to grow and yes, crush its competitors. Brace yourselves fellas, the smartphone wars is getting a lot more intense. I think themes would likely be able to change your views on 'dated and cheap widgets' if you know the right apps to download. And it's not really about the appearance, it's about the performance of ICS. Android is a beast phone, and comparing it to iPhone is just ridiculous. I'm just saying.